As the creative vision took shape with the addition of Ryan Lukas on bass (The Real Nasty) and Steve Bissinger on guitar (Mr. Lonesome & the Bluebelles), the band began to craft a sound that was uniquely compelling, offering a dynamic soundscape for Jenna’s pitch-perfect, spellbinding melodic explorations. With each musician bringing an incredibly high level of musicianship, sensitivity and creativity to the songs, the band began to plumb deeper emotional depths at every show, often leaving audiences mesmerized with the authentic heartfelt emotion of their performance, and moved by the band’s own palpable enjoyment of the music. The quartet plays an incredibly wide range of material, with a stunning range of dynamics and sensitivity: from the dreamy re-imagining of the Beatles' "Across the Universe"; the whisper-soft emotional rawness of John Mayer's "Stop this Train,"; the groovy finger-snapping pop of Squeeze's "Tempted"; to the churning, rocking of Oasis' "Wonderwall", the band navigates each of their favorite songs with a fresh and different take, exploring nuances and dimensions only obliquely suggested in the original recordings. Additionally, Jenna & the Charmers play a handful of Jenna’s original compositions, and are collaborating to write new songs as they head into the studio to record their debut album in 2017. 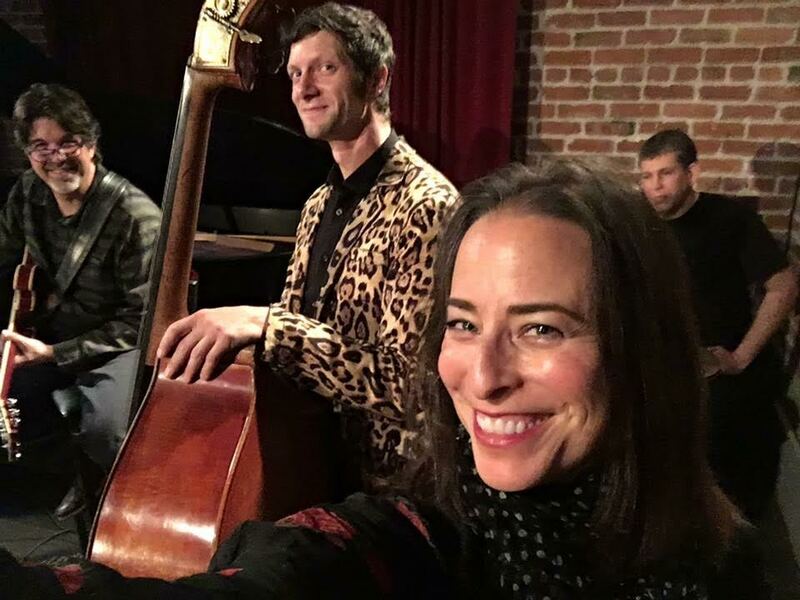 Hailed as one of the leading women of jazz/pop crossover by Jazziz magazine for three years in a row, Jenna has found her new musical family with the Charmers. And lauded as “A very swinging drummer who’s mastered the art of coordinated independence” by the East Bay Express, Jeremy has returned to play the music that has influenced him, with musicians who are simpatico. Together in Jenna & the Charmers, they have come home.